Jan 15, 2016 | Love This! Type of Plant: This leafy, green vegetable is one of my must grow edible plants. No one seems to know where the “Swiss” part of the name came from. 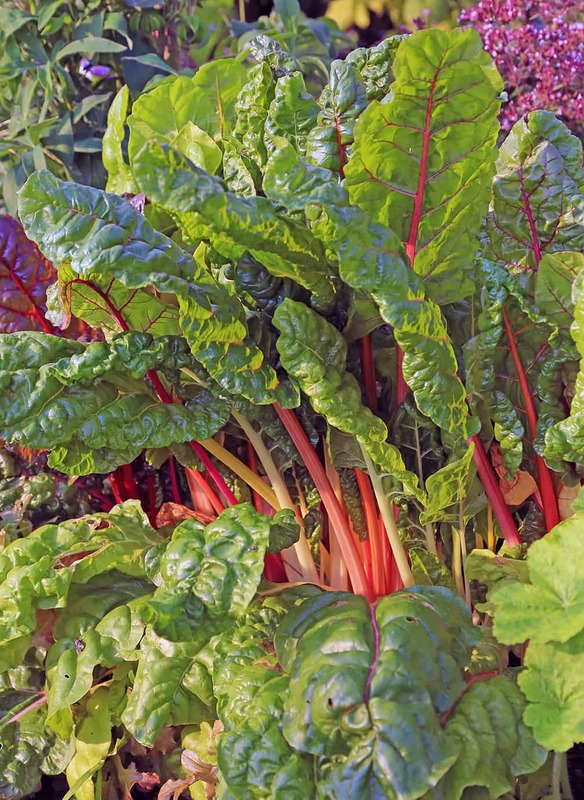 But even if you just call it chard, this is a long-producing plant for the home garden. Why I Love This: This green-leaf vegetable is hight in vitamins A, K, C, and E, not to mention various minerals. But beyond the nutritional value, this plant is versatile and delicious. You can pick the earliest leaves for salads and continue to harvest a few of the newest growth to eat raw. The older leaves are cut for cooked dishes where it can be used in any dish where you’d use spinach. Large leaves can be used in place of lasagna noodles or as a substitute for flatbread in wraps. You don’t have to worry if the leaves get large – they are just as edible after two or three months of growth as they are early on. A Word to the Wise: Sow seeds about six to eight inches apart in a row. If you plant a row every month you’ll have a continual supply of all sizes of to harvest. When picking the leaves for dinner cut them just below the bottom of the leaf, leaving the end of the stalk. When harvested in this way you’ll promote the growth of more foliage from the plant. In some areas chard is troubled by flea beetles (use diatomaceous earth) or Cercospora leaf spot fungus. Be sure not to splash the leaves when you water and irrigate deeply but less often to avoid leaf spots. Spray with an organic fungicide such as Actinovate early in the season to help suppress fungal problems. And as this photo shows, chard is also very ornamental. How can you NOT grow this plant?? ?